An organization can begin well, but lose its moorings and drift from its purpose. It happened 500 years ago when the Roman Catholic religious system became corrupt, and Martin Luther was the focal point of the Protestant Reformation. Similarly, the secular science industry's peer review process is due for a reformation. Movements of any consequence seldom have a single point of origin. The Protestant Reformation had been growing for some time, and some of the seeds were planted by John Wycliffe. 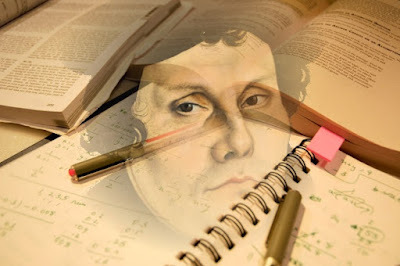 Martin Luther had a disquiet and realized that the Roman Catholic power system was not true to its original purpose, having become a corrupt power and money system. (I reckon that when unbelievers use the remark that religion is to control people, they could very well be thinking of the Catholic system, and generalizing that it is typical of all sects that have the tag "Christian".) That church had not become wicked overnight, nor did the Reformation occur in a short period. Indeed, the Reformation had a strong, positive influence in science. There has been increasing frustration in the secular science industry with the corruption in the peer review process. 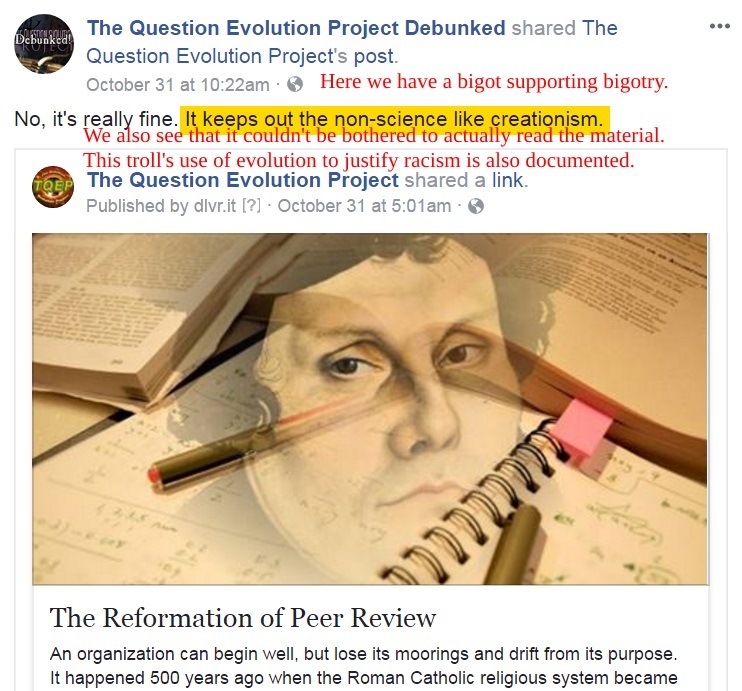 Real peer review is important and necessary, but favoritism (emphasizing evolutionary "discoveries"), suppressing competition (especially creation science), ostracizing contrary views, and more have rendered the process almost worthless. Bad science and bad peer review ride for the same brand. Secularists want to reform their system, but to what extent? The need to give the science industry an overhaul is admitted. They do not have a consistent moral foundation such as Christians have in the Bible, and many think that naturalism expressed in evolution is the source of morality and ethics. Having people like that in charge of reforming secular peer review seems akin to having a Christian reformation to which the Pope agrees — as long as he stays in charge. The ostensible gold standard of scientific reliability, peer review, looks more like fool’s gold in many cases. Reforming it will require an overhaul, not just corrections. Evolutionists sometimes hammer creationists with peer review. They sneer, ‘Point me to some of your peer-reviewed work and I might begin to take it seriously.” This attitude overlooks a number of flawed assumptions, among them: (1) that peer review elevates a paper to a higher plane of scientific reliability, (2) that creationists do not have peer review (they do, but most often in their own journals), (3) that evolutionary journals would treat creationist submissions fairly (which they do not; they are excluded a priori), and (4) that reviewers are unbiased saints without ulterior motives or flaws. Another faulty assumption is that peer review has always been a criterion of science, when in fact, many honored works, including Newton’s Principia and (ironically) Darwin’s Origin of Species (touted by atheists as the greatest scientific work ever penned), were not peer reviewed. Peer review has had a spotty history, only in recent decades following any kind of regular protocol. Click for larger. Used under Fair Use provisions for educational purposes. Is Altruism Controlled by Microbes?